The fn:concat function requires at least two arguments (which can be the empty sequence), and accepts an unlimited number of additional arguments. 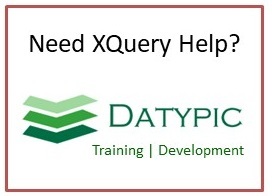 This is the only XQueryXPath 2.0 function that has a flexible number of arguments, for compatibility with XPath 1.0. Arguments that are not of type xs:string will be cast to xs:string. The function does not accept a sequence of values, just individual atomic values passed as separate arguments. To concatenate a sequence of strings, use the fn:string-join function.